Ensure that your online storefront stands out from the crowd. We develop E-Commerce options for the online start-up to the multi-million dollar business..
It’s no secret that more and more consumers are taking their everyday purchasing online, and online sales are now a huge factor to determine the bottom line of almost every business. Chances are, your business needs some form of E-Commerce, but which platform is right for you? Understanding the types of transactions that your user is going to make is critical in choosing how we develop and launch your E-commerce presence. Whether offer physical products like garments with multiple sizes and colors, or take payments for services like coaching and training, E-Commerce users have become used to the ways in which they interact with a checkout process. Implementing a process that gives your customer any kind of pause can lead to sales drop-offs and even potentially losing customers. Ezzey understands that matching your product or service with your customer type is key to building your platform. From start-up to enterprise level businesses, we’ve got the right tools for you. Our team are experts at not only determining what fits, but also HOW your products or services should fit. Our process starts with understanding what you’re selling, and who you are selling to. As almost all E-commerce solutions are integrated with some type of web presence, the link between your website and webstore is key. When a customer makes the decision to buy your products and services online, their experience should be seamless from start to finish. When we come up with your strategy, our goal is not just to give your business a new tool, but to make sure that your customers are actually buying what you are selling. Different E-commerce platforms provide different solutions for businesses, and it’s important for our team to know when to use what, and why. If your website is built on the WordPress platform and you sell physical products, a WooCommerce integration can be a great solution for most businesses. If you’re a smaller store that needs built in infrastructure and inventory management, a Shopify store can also be a really useful platform. 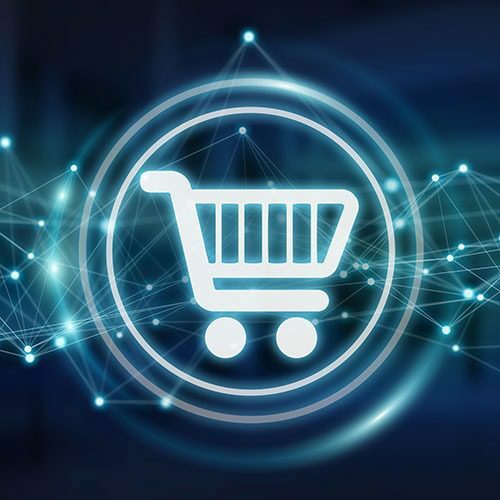 For the larger business, having a custom E-commerce integration tailored specifically to your needs can be the most effective for scalability and consistency. Additional features like members areas, gift cards, product discounts can also be implemented across the different solutions, adding tremendous value to your customer experience. For clients that primarily take and process payments for services, payment gateway integrations can remove the need for creating and maintaining individual products and inventories, making the customer’s checkout experience far more streamlined and user friendly. We still adhere to that old adage “The customer is always right” when we develop your E-Commerce solution. Like we said before, your customer is already used to a way of interacting with different types of E-Commerce platforms for different purchase types, and our solution will always be the one that best fits your business. Understanding what you’re selling and who you’re selling to is the key to the right E-Commerce platform for your business. Our solutions are tailored to boosting your online sales and revenue. A fluid E-Commerce experience should feel just like going to the grocery store. Thoroughly planned product or service organization and presentation can make or break even the smallest of online stores. Your customer knows what they want, and we ensure a seamless transition from information to purchase and beyond. 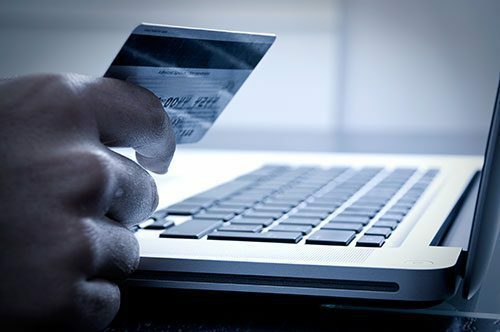 The E-Commerce experience doesn’t stop when the payment is processed, so neither do we. Understanding how customers are getting to and interacting with your products or services guarantees that you can improve on your E-Commerce platform. Don’t let an abandoned cart go unnoticed. Put an irresistible offer in front of your customers and nuture them to higher conversion rates. Let an automated chatbot give your customers all the info they need to increase your sales. Build a replicatable system for you and your sales team for training and assets depolyment.